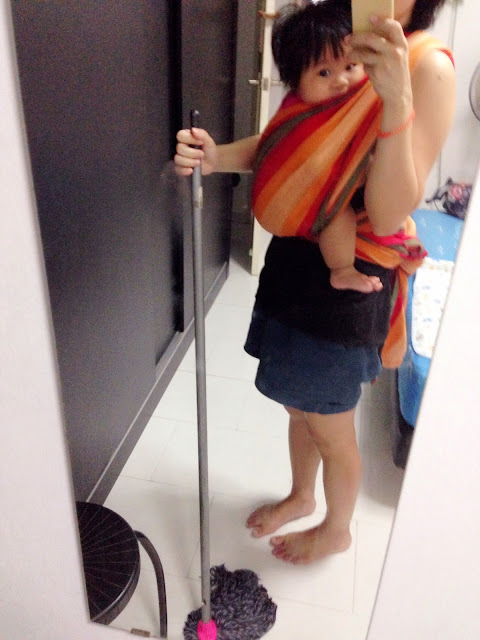 My first attempt at babywearing while mopping the floor. Not that bad, just that bending to mop certain areas is impossible. I was sweating like mad. She got bored when I was about 70% done. She can't have me out of sight while I can't have her fuss non stop.